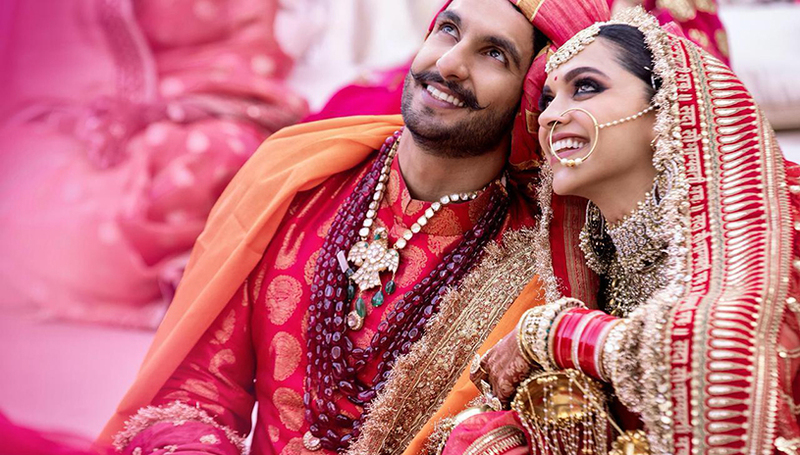 After dating for five years, Deepika Padukone and Ranveer Singh finally got married on November 14, 2018. They had two wedding ceremonies at the Villa del Balbianello, in Lake Como, Italy. Here are all the details from their gorgeous destination wedding. Their pre-wedding celebrations began before they even left for Italy. A Nandi puja was held at Deepika’s home in Bangalore. A haldi ceremony was held at Ranveer’s residence in Mumbai. 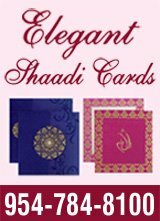 The couple’s mehndi ceremony took place in Italy. 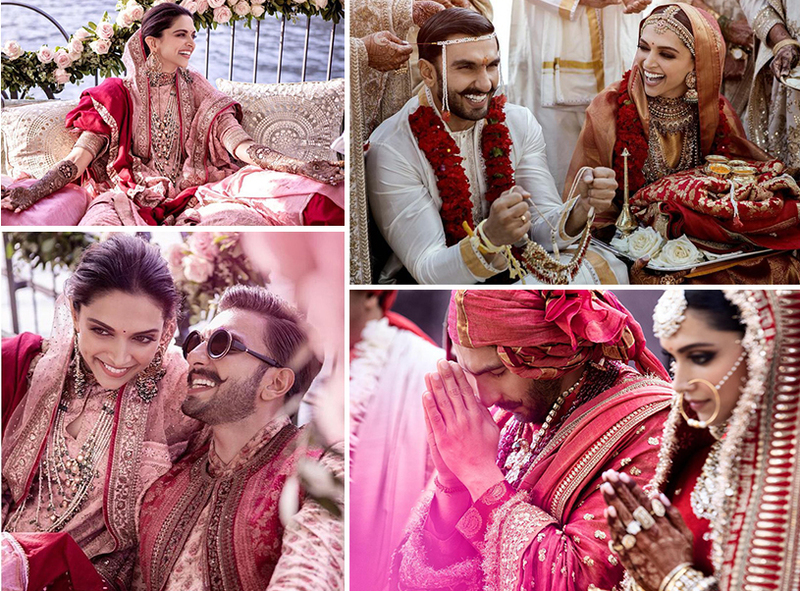 Deepika wore a pastel pink salwar suit with a red shawl, while Ranveer chose a printed Anarkali kurta with a jacket in the same colors as his bride’s outfit. The venue was decorated with blush pink roses. The celebrity couple first wed in a traditional Konkani ceremony on November 14. Deepika wore a red and gold Kanjivaram saree that was weaved from real zari, by the label Advaya for the House of Angadi. She completed her look with traditional temple jewelry, along with a gorgeous mathapatti. Ranveer aced the typical Konkani wedding look in a white and gold dhoti kurta. The entire villa, including the mandap, was decorated with white roses. Traditional Indian music played in the background, and the menu consisted of authentic South Indian delicacies. 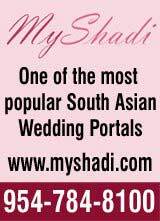 On November 15, the couple participated in an Anand Karaj ceremony, held according to Sindhi traditions. The couple looked perfectly coordinated in red and gold outfits. Deepika wore a lehenga, and Ranveer chose a sherwarni, both designed by Sabyasachi. 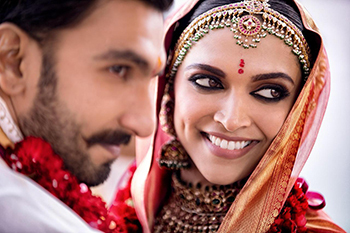 Deepika’s dupatta was personalized with “SadaSaubhagyavatiBhava‘ written on the border. 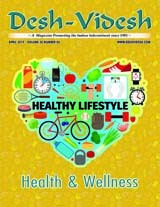 Following the wedding, Ranveer and Deepika held two grand reception parties, one in Bangalore and another in Mumbai.